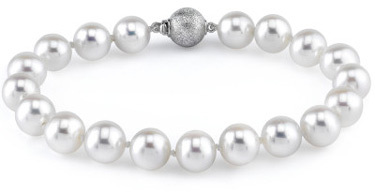 The bracelet consists of AAAA GEM-quality freshwater pearls with "Very High" luster. 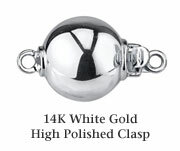 The brilliant white color of this bracelet would also go great with one of our exquisite white freshwater necklaces. 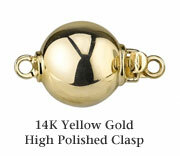 The bracelet is affixed with a beautiful sterling silver finesse clasp or a 14K gold ball clasp. We guarantee our 8-9mm White Freshwater Pearl Bracelet - AAAA Quality to be high quality, authentic jewelry, as described above.